Commercial drivers use their vehicles to make a living. While most are conscientious and serious about their jobs, driving legally and not committing various infractions such as driving under the influence, there are still times when commercial drivers get caught breaking New Jersey law. 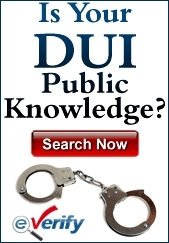 DWI is taken very seriously in New Jersey for any and all drivers. With a commercial driver, however, the penalties for a conventional DWI apply and there are more serious penalties in addition to them. The blood alcohol content limits are lower than they are for the driver of a conventional vehicle. 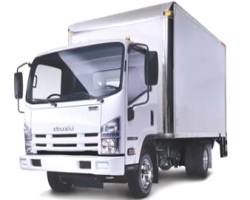 This makes sense because many times, commercial drivers are operating large, heavy vehicles that can pose a significant danger to other drivers on the road, pedestrians and property. A commercial driver who is arrested and convicted of DWI will not only be inconvenienced as drivers on a normal driver’s license would be, but it can severely affect their livelihood. When a driver is convicted of DWI – whether operating a vehicle with a regular driver’s license or a CDL – he or she will face the same penalties. These penalties depend on the BAC when the driver is tested. A DWI stop usually commences if a law enforcement officer has witnessed a driver committing a traffic violation like ignoring a signal or passing illegally. If a driver is swerving or doing other dangerous things, the officer will make the stop. When the stop is made, the officer will look for certain signs that indicate being drunk such as slurred speech, glassy eyes and the smell of alcohol. Then field sobriety tests will be given. These can include the Walk-and-Turn test and the One-Leg Stand test. After that, the officer will have the driver take a breathalyzer test to determine the blood alcohol content. The officer is required to wait 20 minutes and observe the driver to ensure that he or she doesn’t do anything to compromise the accuracy of the test. This can include smoking, chewing gum, throwing up and doing a number of other things. When the test is given, a driver on a conventional license will be arrested if the BAC is 0.08% or higher. For a commercial driver, the level is half that at 0.04%. The penalties for a conviction of DWI with a conventional license and a CDL are the same. However, there is another difference in addition to the lower BAC to spur an arrest. A CDL driver’s license will be suspended along with the conventional driving privileges. This will make it very difficult for a person who drives for a living to earn a living after being convicted. For a driver on the first offense, there will be numerous penalties. There will be a fine of between $250 and $400. The driver will have to pay $230 to the Intoxicated Driver Resource Center (IDRC). $100 each will go to the drunk driving fund and Alcohol Education and Rehabilitation Fund (AERF). $75 will be paid to the Neighborhood Services Fund. There will be a surcharge of $1,000 per year for three years. There can be a jail sentence of up to 30 days. Most importantly for a driver on a CDL, the CDL license will be suspended for one year. If the BAC is 0.10% or higher, the penalties are worse. The normal driver’s license will be suspended for seven months to one year. The fine will be for $300 to $500. The other fees will stay the same as will the potential jail time. If the BAC is 0.15% or higher, an ignition interlock device may be placed on the driver’s vehicle for the duration of the suspension as well as for six months to one year after. The CDL will be suspended for one year. If a CDL driver gets caught and convicted for DWI a second time, the penalties are absolute. The conventional driver’s license will be suspended for two years. The fine will be for $500 to $1,000. The IDRC fee rises to $280. The other financial penalties stay the same. The driver could be jailed for 48 hours to three months. There could be 30 days of community service. The ignition interlock device can be placed on the driver’s vehicle for the duration of the license suspension and for one to three years after privileges have been restored. More importantly than anything else is that the CDL privileges will be revoked permanently.